Head of the “Phytopathology for Sustainable Agricultural Systems” research group at IAS-CSIC; he is a plant pathologist specialized in plant disease epidemiology and Integrated disease management. 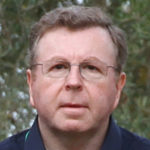 His main research interests are to develop quantitative models to facilitate prediction of plant diseases and design efficient control strategies; Spatio-temporal dynamics of plant disease epidemics; Impacts of climatic change on plant pathogens; and Detection, monitoring and quantification of plant disease epidemics by remote sensing. He has published over 65 papers in peer reviewed international journals and has coordinated seven research projects, authored one patent on specific diagnosis of plant pathogens and participated in organizing different scientific activities. He has supervised seven PhD Thesis and four Master of Science projects, at University of Córdoba, Spain.